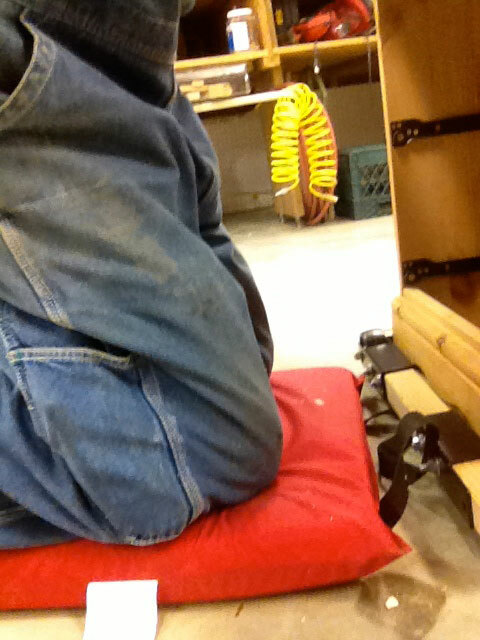 Woodworkers spend a good bit of time on their knees. Praying for guidance and safety before each working session in the shop is a good way to get started. Kneeling to work on the floor or work on the bottom of a piece is a common position too. 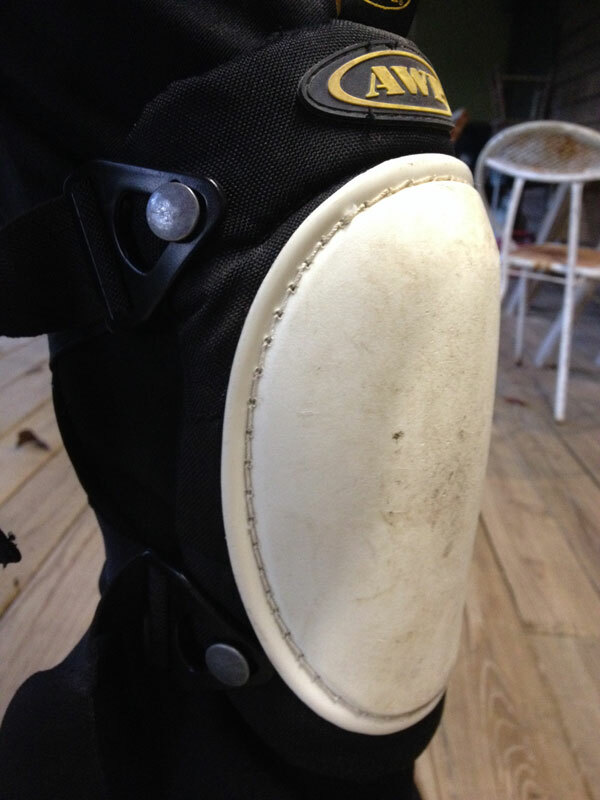 Kneepads are a good invention even though they restrict blood flow to the lower legs, are really hot and can pinch the skin behind the knees. Kneepads are great, especially if you’re working in numerous locations that are distant from each other. However, they have some drawbacks. 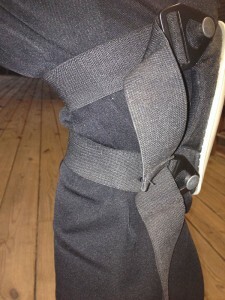 Spend much time on the floor with these straps binding behind a flexed knee and you’ll feel them digging in to you. An economical alternative is a throwable PFD (personal flotation device) for kneeling. It’s thick, soft, durable and withstands getting wet. It has not one but two handles for hanging when not in use, and is easy to move from one position to another. A throwable PFD is a comfortable, durable, economical choice that protects the knees, while offering a soft, cushioning effect.